Velodyne LiDAR announced today that, in a milestone for China’s autonomous driving effort, a self-driving car from Baidu, Inc. has successfully completed rigorous, fully autonomous tests on one route with mixed roads under a variety of environmental conditions – guided throughout by Velodyne’s HDL-64E 3D real-time sensor. Baidu, Inc. is the leading Chinese language Internet search provider. 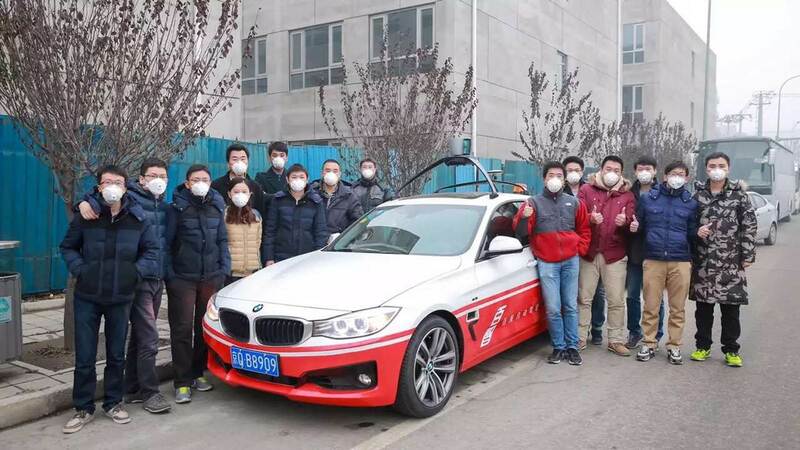 The Baidu vehicle, a modified BMW 3 Series, is the country’s first to have demonstrated full autonomy under complex road conditions. The 18.6-mile drive through highways and side streets required execution of a comprehensive set of driving actions and accurately responding to the driving environment. 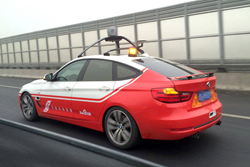 The road test followed conclusion of a June 2015 deal between Baidu and BMW to launch an autonomous car before the end of the year. The test drive route began at Baidu's Beijing headquarters near Zhongguancun Science Park in Haidian District, extended to the G7 highway, Fifth Ring Road, Olympic Park, then looped back and ended at Baidu headquarters. The car demonstrated full autonomy over the entirety of the route and successfully executed driving actions including making right turns, left turns and U-turns, decelerating when detecting vehicles ahead, changing lanes, passing other cars and merging into traffic from on-ramps and exiting from off-ramps. The vehicle reached a top speed of 62 miles per hour during the test runs. "Fully autonomous driving under mixed road conditions is universally challenging, with complexity further heightened by Beijing's road conditions and unpredictable driver behavior," said Wang Jing, SVP of Baidu and General Manager of Baidu's newly established Autonomous Driving Business Unit. Baidu's Institute of Deep Learning, one of the three labs under Baidu Research, has led the autonomous driving project since 2013. Baidu AutoBrain, the core of Baidu's autonomous driving technology, includes highly automated driving (HAD) maps, positioning, detection, and smart decision-making and control. Relying heavily on Velodyne LiDAR sensors, Baidu's proprietary HAD maps record 3D road data to within a few centimeters of accuracy of vehicle positioning. With Baidu's leading object recognition and environment perception technology, the car can detect, recognize, and follow other vehicles with high accuracy; recognize road lanes; and accurately gauge distance and velocity. Baidu AutoBrain showcases the company's advanced automotive vertical technologies, and highlights its cutting-edge big data and advances in artificial intelligence. Baidu's autonomous driving initiative is currently the only research project in China that has passed the ISO 26262 functional safety standard. The Baidu test run extends Velodyne’s recent strong showing in China. In November, 17 of 20 competitors in China’s Intelligent Vehicle Future Challenge (IVFC) relied on real time multi-channel 3D LiDAR sensors from Velodyne LiDAR – and the top five finishers all used the company’s groundbreaking HDL-64E.